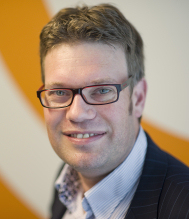 Derk-Jan de Grood, works for Valori as senior test consultant and agile advisor. As Trainer, Consultant and Agile Coach, he is involved with improvements, operational test management and agile implementations. He is a well known name in the international testing community and participates in the organization of various test events. He is an enthusiastic keynote speaker at many national and international conferences. With his presentations he likes to inspire people and help the community to improve the test profession. He regularly publishes articles and Columns for leading magazines and is an experienced trainer and workshop/ serious game facilitator. The training sessions vary from the standard introduction into Agile and Software Testing to custom made workshops that tune in on specific needs of the client. I can be contacted using my valori profile page. I am Ma’ayan from PractiTest. Our Testing related blog QA Intelligence together with Tea Time with Testers Magazine, has launched its annual “State of Testing” Survey of 2016, which is the largest survey worldwide of Testers and QA Managers alike. We aim to identify the existing characteristics, practices and challenges facing the testing community in hopes to shed light and provoke a fruitful discussion towards improvement. We’ve got dozens of bloggers and industry leaders helping us spread the word to the worldwide QA community about the survey, and we’d be delighted to have you join the success. Once you have created your post just reply to: maayan@practitest.com with a link to it and I’ll add you to the list of collaborators on the site as well as the final results report. In addition to this, I will also send you the results of the survey a couple of days before making them public giving you access to incredible data available only to collaborators. Hope to hear back from you on this as soon as possible.